This weekend The West Australian Society of Arts had their 117th annual exhibition. It is the oldest arts society in WA, with its history traced to 1890. The present society became incorporated in 1896 and it was through the societies keen encouragement of the government of the day and fundraising through the local business community that WA had its first art gallery, The Art Gallery of Western Australia’s foundations laid in 1908. The societies motto is “Encourage, Educate, Exhibit” and in this spirit both experienced and emerging artists are welcomed to the society, of which there are currently over 100 members of various levels of ability. I joined the society just 2 months ago after a couple of friends from my art class were talking about the demonstrations they had enjoyed. and “Peaches and Pottery” on display. 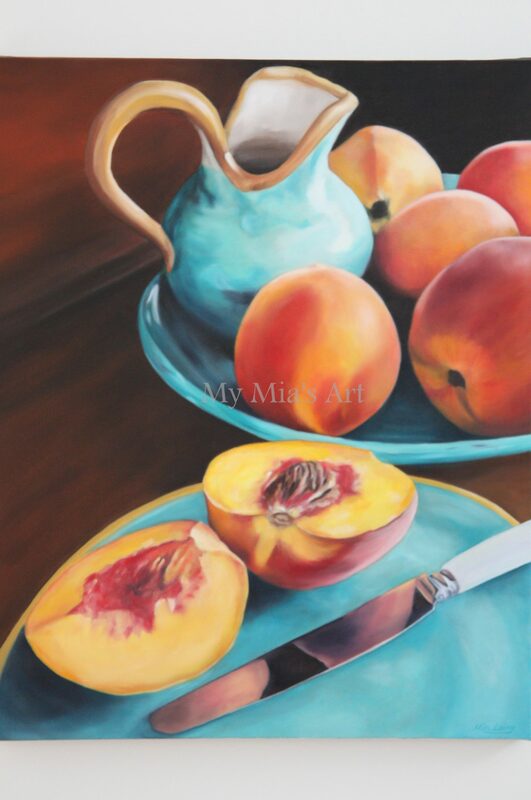 Well, am I ever glad I decided to join this exhibition….”Peaches and Pottery” one of my all time favourite paintings, received a ‘Highly Commended’ award! These accolades, as tiny and insubstantial, as they may appear to non painters, are a great boost to the moral of anyone that throws their soul into a creative pursuit such as painting…and especially for someone who wears their heart pretty much exposed and seems to go through constant periods of self doubting. Good feeling. 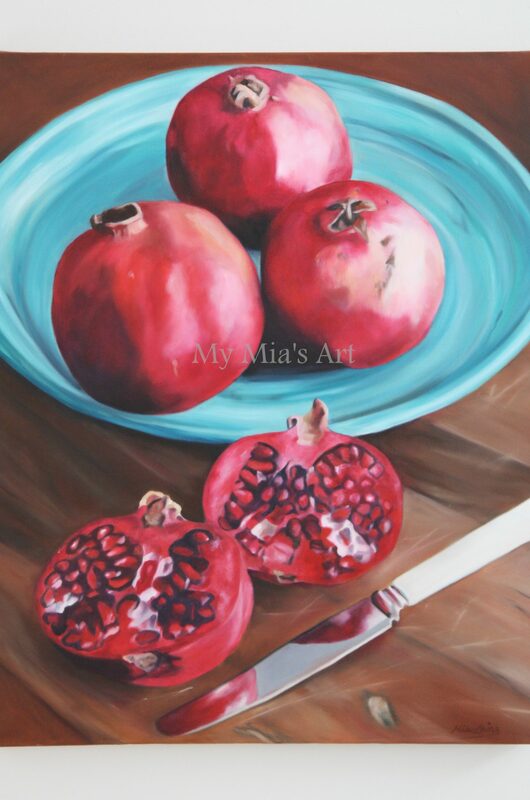 and….’Peaches and Pottery’ SOLD!!! Woo Hoo!! A great surprise that is tinged with sadness for a painting that I have loved over the last 18 months. My Grandmothers pottery so lovingly committed to canvas. 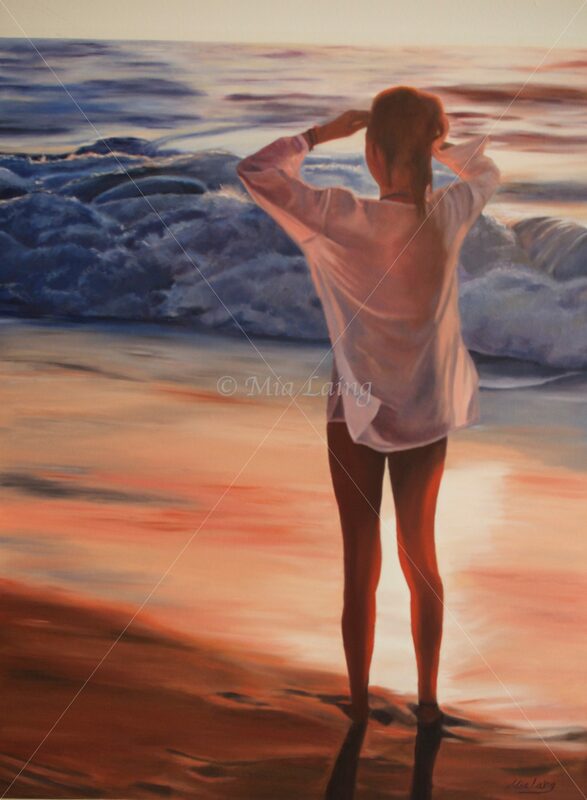 Good bye favourite painting, I hope you are loved in your new home! Anyway, sentiment over…I started a new painting last thursday…and guess what? Its finished already! 1 week. Record. I’m sure to make a few little changes and tweaks but its signed and to me that makes it pretty much done. Sunset colour mixing has always terrified me. Salmon pinks, with tinges of purples are certainly not found in any tube I’ve ever come across. Over the last few months I have been learning the importance of tone and how to isolate a colour to really see it. By using a hole punched in card, it enables you to see a small patch of colour in all its glory – without other colours distracting or influencing it. It’s very accurate. Thank you so much Louise. Little steps…little steps. Up the mountain we go. The colors in “Summer’s End” are wonderful. I also really like how the swell of the waves are portrayed. Congratulations on both the exhibition and getting a painting sold! Lillian, thank you so much! How wonderful! Congratulations and I love the name Summers End! 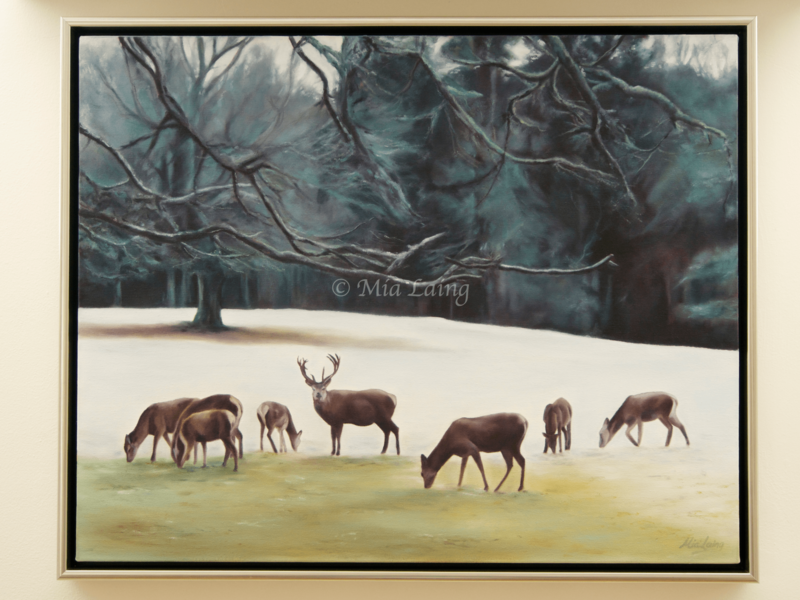 Thank you so much Lorri…the powers of Facebook for help with painting names! It was the end of summer, so it works very well. Thank you to my friend Jan, from Facebook ‘Arty Oils’. Well done Mia – I thought somebody would have been attracted to The Guardian.